The Town of Refugio is in the process of preparing its 2014-2024 Comprehensive Plan. The Comprehensive Plan is an opportunity for the Town to better understand the needs of its residents and businesses, to assess the availability of services, to identify gaps in service, and to create a plan that to address the results of the needs identified. We would appreciate any input you have on what the Town can do to better serve the needs of its businesses and any perspectives you might have on economic growth in the region. 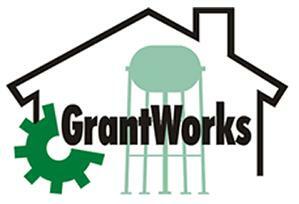 Please feel free to email additional comments to carlos@grantworks.net. * 1. When did your company begin operating in Refugio? * 2. Do you feel that there is adequate infrastructure in Refugio to support economic growth? * 3. What are the top infrastructure needs in the Town of Refugio from the perspective of your company? * 4. Do you feel there is sufficient workforce training in the region and in Refugio to support economic growth? * 5. Do you feel that the workforce training in the region is suited for the jobs available? Are potential workers qualified for the jobs that are available to them? Please explain. * 6. What do believe are the top workforce training needs in the region or in the Town of Refugio? * 7. Have there been any recent changes to the economy that have affected job or business growth opportunities for your company? Describe any needs that have been created by these changes. * 8. Does your company plan to expand operations during the next 5 years? * 10. Can you think of any public initiatives or assistance that would help further economic growth and job opportunities in the Town of Refugio? * 11. What supplies do you regularly purchase to run your business? * 12. What goods do customers ask for that you do not sell? * 13. What goods would you like to buy for your business that you don't have easy access to? * 14. How and where are you transporting products?